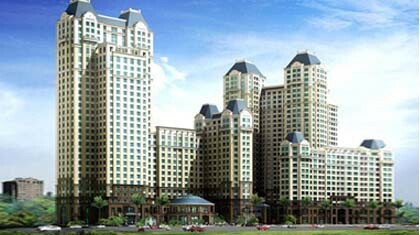 The Manor is the newest and most exclusive residential development in Vietnam. It sets a new standard in wonderful living with the luxurious and comfortable apartments with European standards. But more than a luxurious home, it's a community that provides sophisticated lifestyle shopping mall, restaurants; spa, gym, offices and a hotel are all accessible to its residents. You will be healthy with the fitness and medical care center. You will not be worried when your beloved children are close to you at the International school and kindergarten. The Manor is a place like to other, only for the most discriminating of taste. Now, wouldn't it be great to live in what is possibly the best address in Ho Chi Minh? At the manor you will have all the best for you and your family. The designers carefully laid out the space of each unit and created the master plan to bring into reality an environment of style and luxury in harmonious coexistence. Time may wear the stone but the essence and ambience of The Manor will remain. + Block B: 11 floors with 80 apartments.